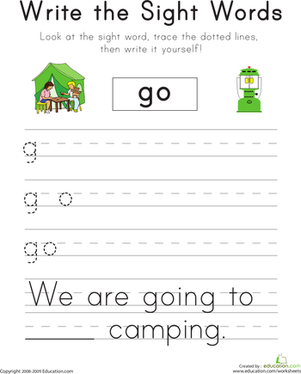 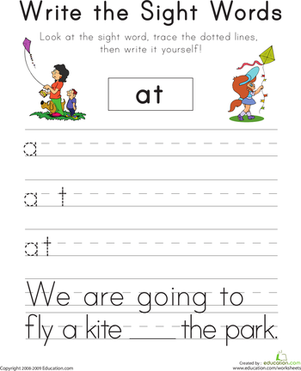 This worksheet will help your child learn the sight word "play" by having him trace the different letters and then write the word in a sentence. 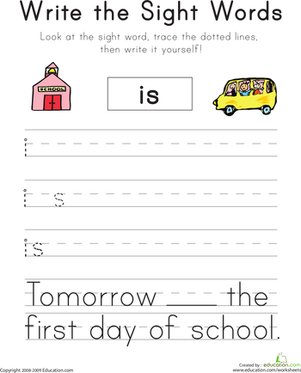 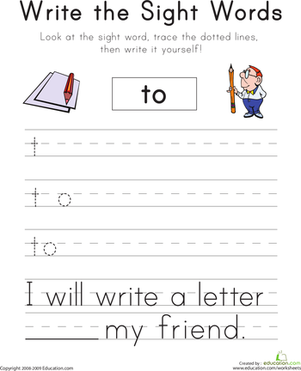 After he finishes this worksheet he will have used the sight word in a complete sentence and practiced his handwriting. 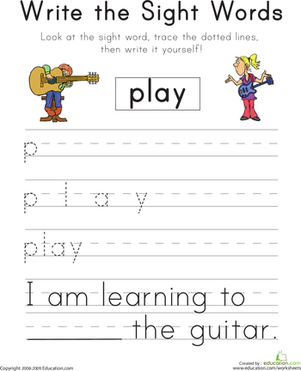 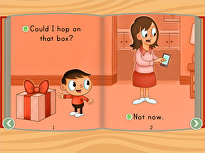 Learning sight words like "play" will help improve his reading skills. 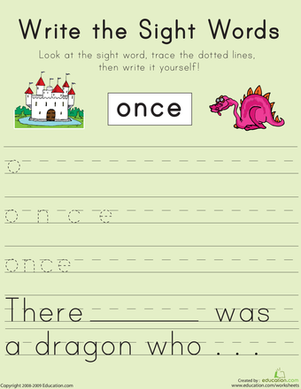 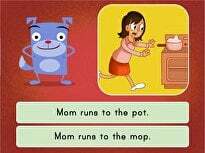 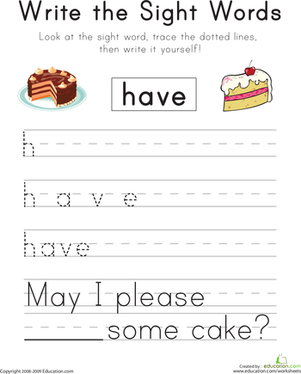 Looking for a phonics worksheet to help your child with sight words? 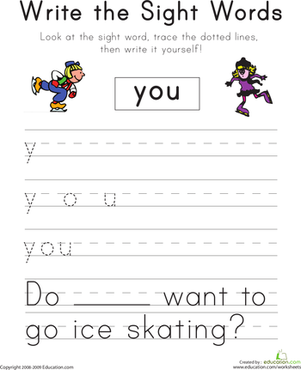 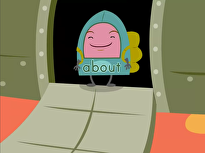 This printable will him practise with the word "she".